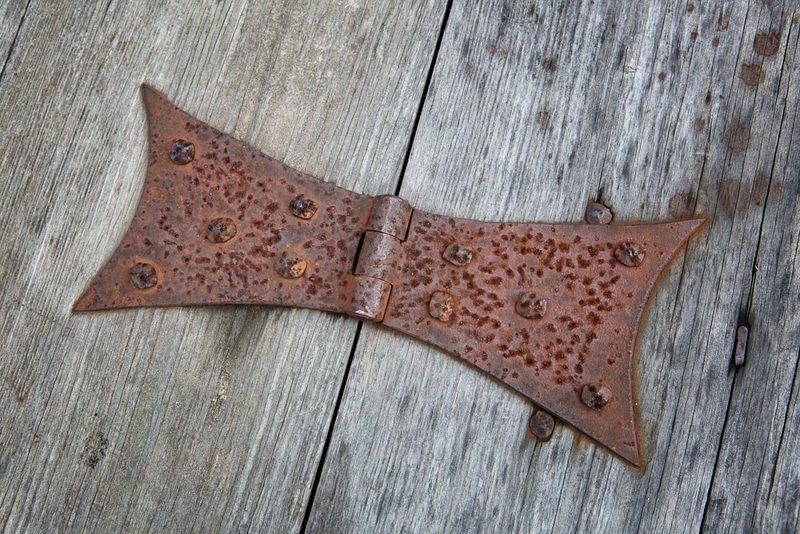 Furniture making in the 17th century was limited by daylight. Each key workbench was located near a window to make use of the available light. Work could only be done when adequate light was available. 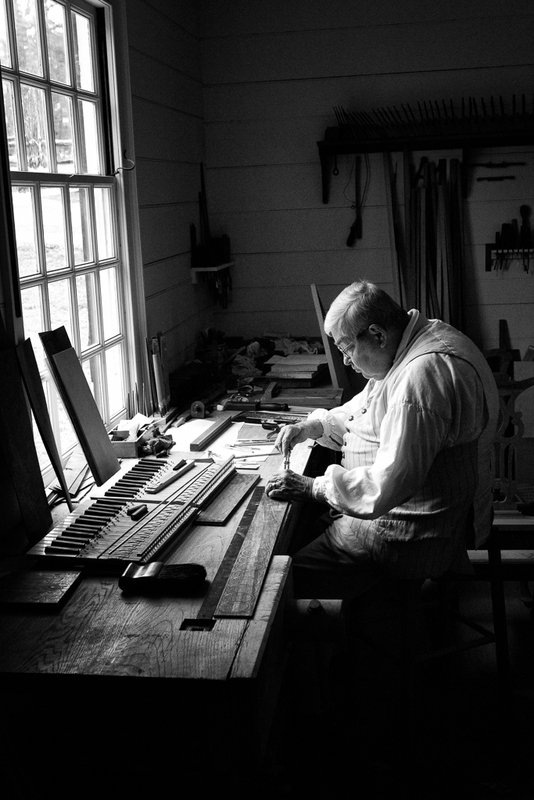 This image is taken in the Cabinetmakers Shop in Colonial Williamsburg. It is my favorite place to spend time when I visit. When I go, Karen and my guests usually go somewhere else and meet me after awhile. This year it was a special stimulus for me as I move from wood machining with power tools to wood working with hand tools. I learn something new each time I visit. This entry was posted in B&W Photography, People and tagged Williamsburg VA on April 24, 2014 by kgrafphoto. 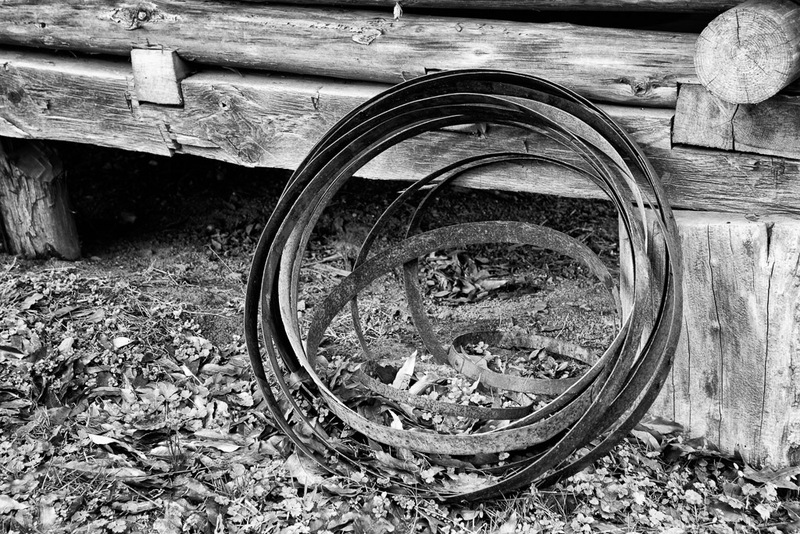 Here I was just trying to capture the repeating circles of the wheel tires and the post in addition to the repeating lines of the logs. Again I was thinking of B&W when I took this image. The mixture of green grass and brown leaves cluttered the color image and distracted from the wheels. This entry was posted in B&W Photography and tagged curves, repitition, Williamsburg VA on January 4, 2014 by kgrafphoto.